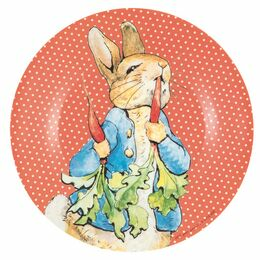 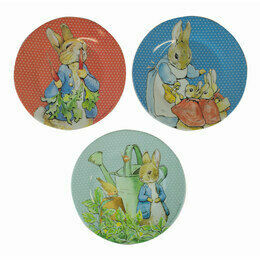 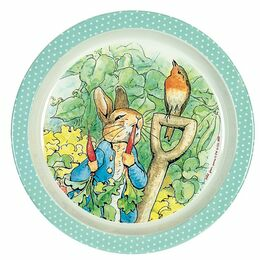 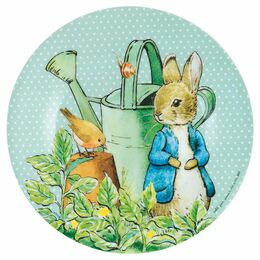 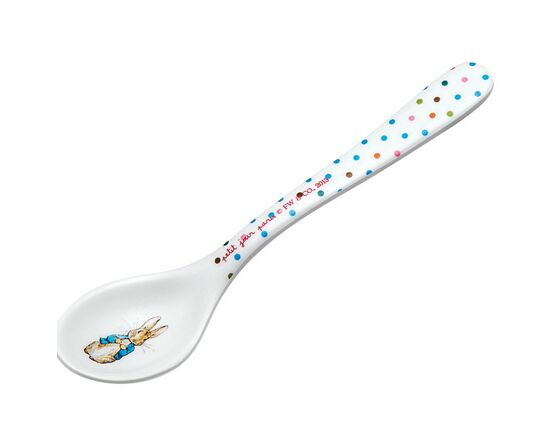 A small melamine spoon which is the perfect match for the Peter Rabbit tableware collection by Petit Jour Paris. 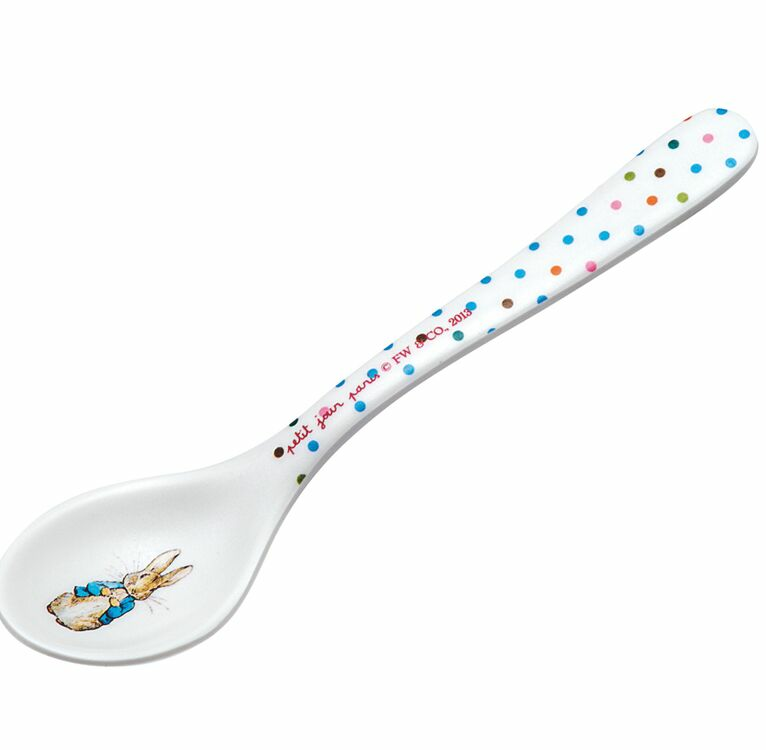  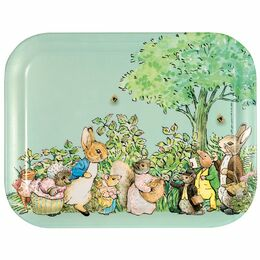 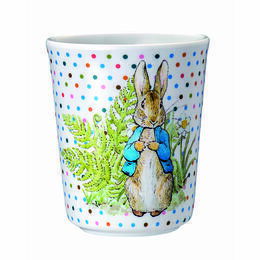 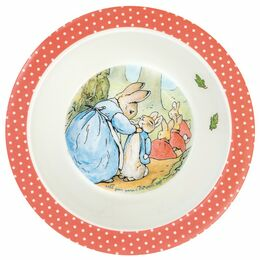 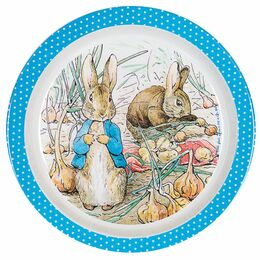 It features Peter Rabbit himself on the end of a dotty handled spoon. 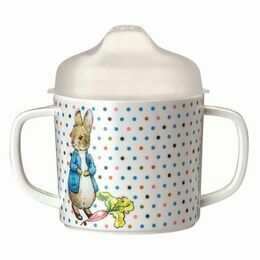 The polka dot handle is really cute!